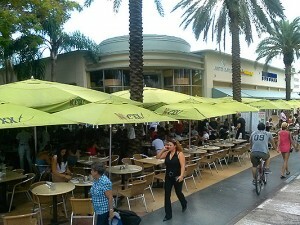 Lincoln Road Mall Nexxt Cafe Restaurant in Miami Beach. 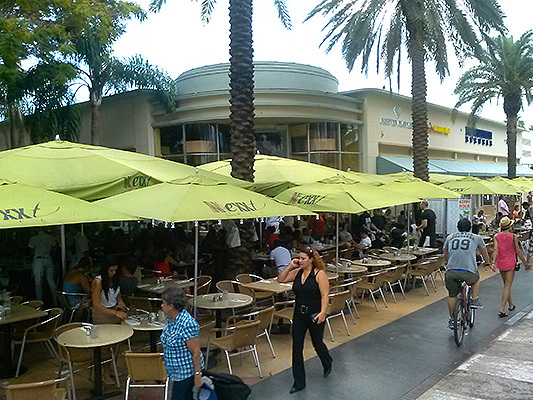 Many who come to Miami and the Lincoln Road Mall will find no shortage of restaurants. This can be a blessing and a curse. The sheer number of restaurants available is mind boggling. There is virtually any type of cuisine you could possibly desire and each of the restaurants are as fabulous as their names imply. The beauty of the Lincoln Road Mall app is how it is able to take all of these restaurants and provide information, location, specials and more at the user’s fingertips. No longer does one have to walk up and down the street finding the perfect fare; it is all available to select from before walking into a restaurant. Best of all, al fresco dining or classic indoor dining is available for all patrons. Take a cozy seat outside on the sidewalk and watch the traffic go by or sit indoors – the choice is all yours at the Lincoln Road Mall. The app has other options as well, particularly for those who are looking for Happy Hour. Each bar and restaurant sets its own hours for Happy Hour, and the app will let you know what those hours and drink specials are. There is little better than watching the sun set across the Atlantic Ocean while enjoying a beverage of choice with those closest to you. 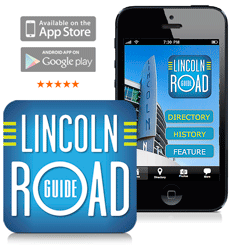 Be sure to check the other functions on the Lincoln Road Mall app and visit soon. As the weather begins to cool from the hot days of summer, there will still be plenty of sights and sounds to be enjoyed. Who doesn’t go to Lincoln Road Mall on a regular basis? Full of tourists and local residents it’s always a go to place in anybody’s book. So many shops, restaurants, bars, lounges, how can anyone ever be never be bored coming here.